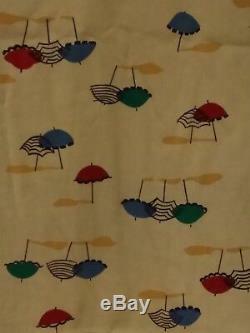 Available to you, This cotton novalty fabric from the mid 1950's to the early 1960's. This is for 8 1/2 continuous yards of 35 wide fabric. 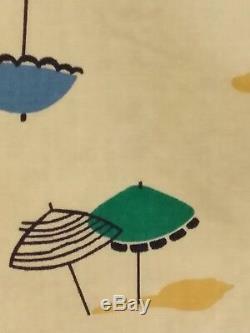 The fabric features a non-directional print of umbrellas in gree, blue and red on a sunny yellow background. 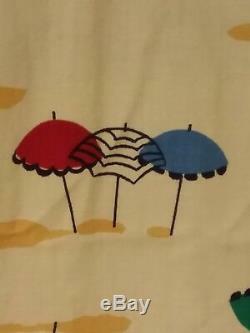 This 100% cotton fabric is very clean and in very good condition, there are two areas that have damge. 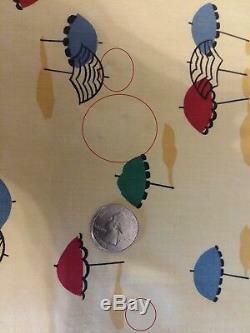 A tiny hole near one end and some tiny stains near the other end (please see photos). 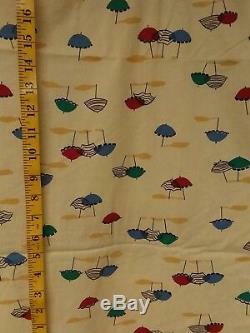 The item "8 1/2 yards of Vintage Umbrella Novelty Fabric 1950's/60's 35 wide 100% cotton" is in sale since Monday, January 28, 2019. 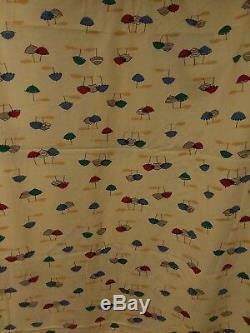 This item is in the category "Crafts\Fabric". 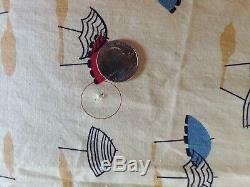 The seller is "eddi1" and is located in Southbridge, Massachusetts. This item can be shipped to United States.